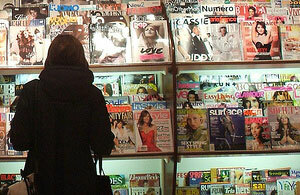 Are Americans Ready to Pay For Online Content From Magazines/Newspapers? Nope. Media moguls of all types are preparing to charge for their online content, but it seems that someone forgot to mention they should actually ask people if they are willing to pay for such content before they go dumping money into building their systems. 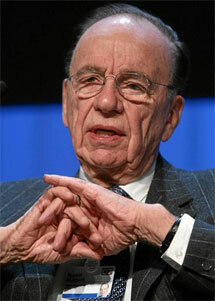 It is well known that Rupert Murdoch, CEO of News Corp, wants to put all of his content behind pay walls in 2010 as he feels that it is silly to give content away for free. Well, it is also well known that the majority of the Internet population is mocking him for such hubris, and plans to just continue to get their news from free sources. Somehow it seems that other media moguls, people with vast news collecting resources at their disposal, have not heard a word of this. Recently the Boston Consulting Group conducted a survey that found only 48 percent of Americans say they would be willing to pay a monthly fee to access news via the Web or mobile devices. Of those that are willing to pay for access, on average they said they would only be willing to pay $3 a month. With this in mind, would someone kindly explain why Conde Nast, Hearst, Meredith, News Corporation and Time Inc. feel that now is the best time to finally announce they will be working on a digital magazine content delivery system? While it has been rumored for a while now that the magazine publishers have been wanting to develop what they refer to as “a Hulu for magazines” and “an iTunes store for magazines”, the announcement merely conveys that the companies are going to work together as a consortium to develop the platform, but gives no clue as to pricing or timelines for the end product. The question now is, no matter how spiffy of a format these companies come up with to duplicate the magazine experience in a digital format, is anyone going to be willing to pay for it? Magazines have been dying off for a number of reasons from drops in readership to lack of advertising revenue, but is it merely because it is still a physical format? Will people flock back to Time magazine merely because it is online, or will they continue to find their news elsewhere from free resources? This is a tricky transition time for print publications, but one would hope someone would finally wake the executives up to the what the average person on the street is saying about paying for content.